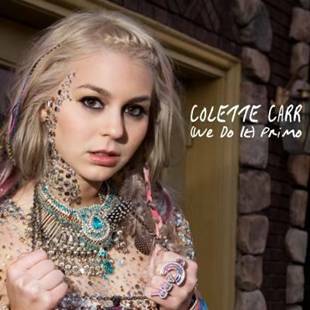 Tweet Colette Carr’s debut album, “Skitszo,” comes out later this year. The rapper, singer and songwriter stopped by to talk music, album and Nick Cannon. Q – Thank you, Colette, for doing this. Q – I don’t know a lot about you. And forgive me for pulling this info from Wikipedia. It says that you were first discovered at rapper Game’s concert. You went on stage and freestyle rapped. Before this encounter, how did music, singing and rapping come into your life? A - I’ve always been very passionate about music, writing lyrics and quotes all around my wall in my room, within weeks four huge walls were filled. I sat around listening to AOL radio, learning and loving. I never left my walk-man at home, and would bring it with me to tennis tournaments. I never really understood the passion until the freestyle at The Game concert, that’s when it all seemed to make sense, that’s when I knew I wanted to make music professionally. Q – Describe your sound for those not up on Colette Carr. A - It's rap-pop, or hip-hop-electro-pop slash gangster from Malibu sweeter than vanilla. I hate genres, my music is me, and I can’t categorize that. Q – Your debut album, “Skitszo,” will be coming out soon. What can fans expect from this album? A - A variety of tunes I worked very hard on, straight from my heart, I’m hoping that people all around the world can relate to my lyrics and dance to the crazy bomb beats. Q – You’re a part of Nick Cannon’s Ncredible roster, which is his new entertainment company. How did you get involved with Nick Cannon? A - He saw my “Back It Up” music video when it went to #1 on MTVU, and soon after, he met with me. We got along instantly, I felt like he instinctively understood who I was, my short and long term goals. We were both very confident in each other; it’s been such a blessing. Q – Once the album is released, will there be a corresponding tour? A - Yes! Stay tuned for the tour dates. I will surely be posting them on ColetteCarr.com, and expressing my excitement on ColetteCarrsBlog.com. Q – Where can readers keep up to date of all things Colette Carr? A - I’m very active online, I’m constantly updating my Facebook, twitter (@colettecrazy) and blog (ColetteCarrsBlog.com). Q - Thank you again. Is there anything you wanted to add?